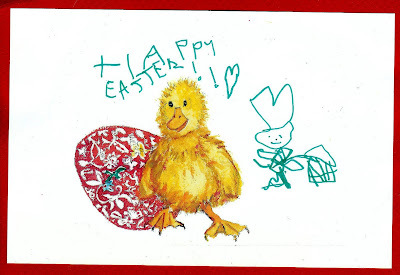 From a postcrosser in Great Britain, this card was torn and taped back together. Fabu! 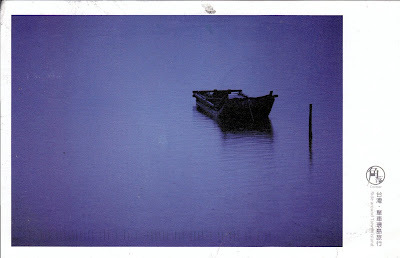 This is my first postcrossing card from Tanzania. 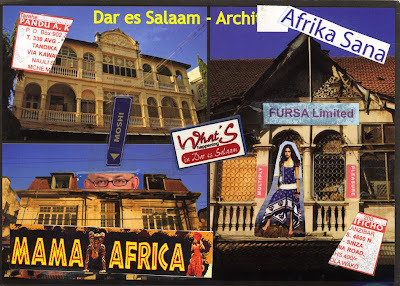 The Mama Africa sticker is from his wife's bar, Fursa Ltd refers to his company that he recently started with friends and it means Opportunities. The bus ticket is to his girlfriend's place. Quite a busy dude! A Norwegian postcrosser sent this card made of plywood and covered with napkins. 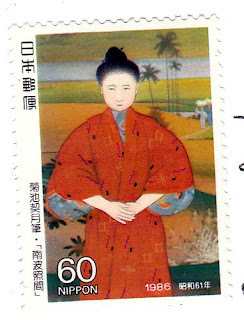 The stamps she included on the reverse were exceptional as well. 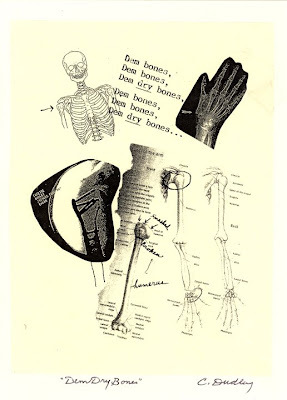 Artist Cosette Dudley sent me this card, which describes her painful broken shoulder. 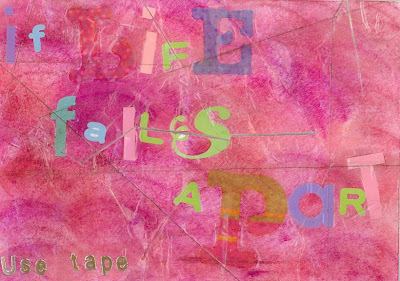 She had planned to attend the Los Angeles Women Artists on Immigration show (her work was accepted) but the injury just prior to the reception prevented her from going. She has been going through physical therapy that leaves her exhausted. She hopes to regain use of her arm, shoulder and hand by the end of 2009. Her goal is to be able to use her press and do printmaking again. With her determination, I'm sure she'll achieve it. 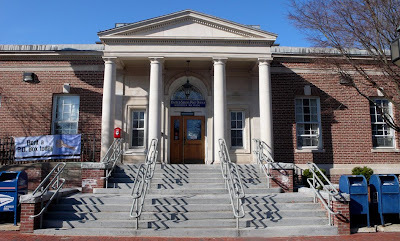 Winchester, MA's post office looks a bit pompous out front but the back looks grittier and far more interesting. 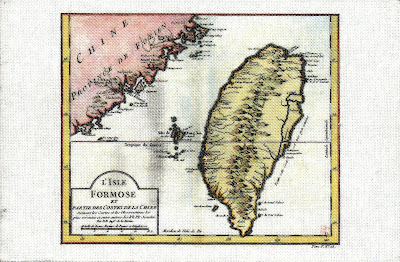 A Taiwanese postcrosser doing military duty sent this beautiful postcard of a 1765 map of Formosa printed on linen. Formosa, which means beautiful island, was the former name of Taiwan. A great card! It even has a piece of Chinese contemporary poetry on the back, not that I am able to read it. 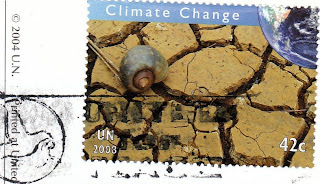 The water ox stamp is perfect. 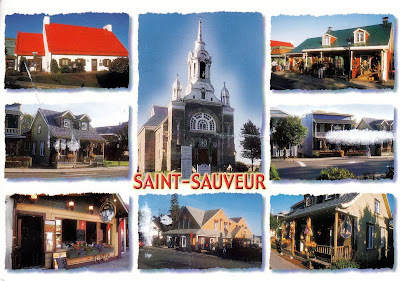 A postcrosser from Saint-Sauveur sent the card at top. She wrote that she lives in one of the buildings on the card. 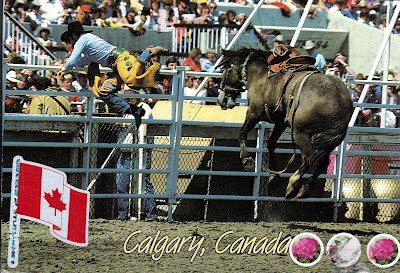 The card below is from the Calgary Stampede, called "The Greatest Outdoor Show on Earth." 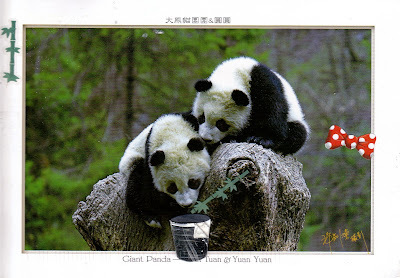 The postcrosser who sent this card also sent the wonderful astronomical stamps and stickers below. 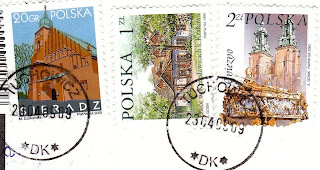 More stamps top to bottom: United Nations, Poland, and Canada. 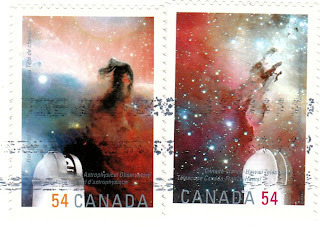 The sender of the Canadian stamps attached four cool stickers, which she also identified. 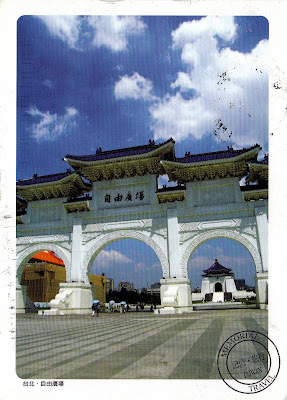 The Taiwanese postcrosser who altered this card must have been in a 'B mood'. She added a bucket, bamboo, and of course a bow. Top to bottom: Taiwan, Finland, and Netherlands. 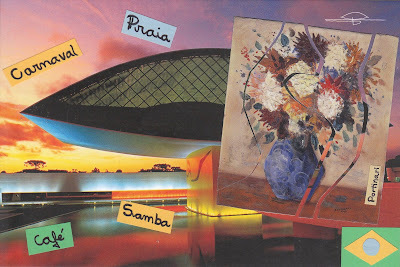 A Brazilian postcrosser named Aline made this super card about her country. Using a postcard from the Oscar Niemeyer Museum, she added an altered image of a painting by Candido Portinari, one of Brazil's best-known artists, who often collaborated with the famed architect Niemeyer. The four Portuguese words--carnival, samba, coffee, and beaches in English--represent important elements of Brazilian culture. She also made a tiny rendition of the Brazilian flag and explained its colors: green = forest, yellow = gold, and blue = sky. Many thanks! 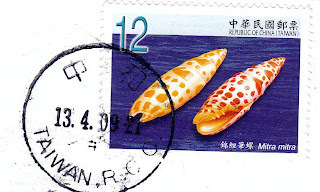 Blue sky, blue sea from Taiwan plus a stamp. 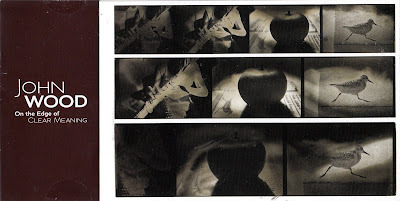 Grey Art Gallery at New York University sent this card advertising an upcoming show featuring 'photographic renegade' John Wood. Called On the Edge of Clear Meaning, the show runs from May 12 to July 18. 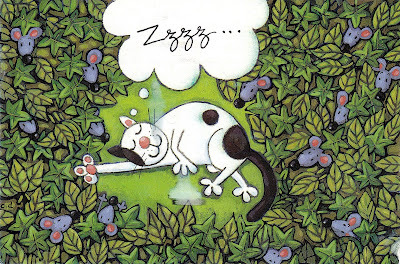 A Finnish postcrosser requested a black & white postcard that tells a story. I sent her this one, which I picked up several years ago at the Johnstown Flood Museum in Johnstown, Pennsylvania. In 1889 Johnstown was the site of a catastrophic flood, caused by the failure of the South Fork Dam, located about 14 miles from the town. Some 2200 people died in the flood. 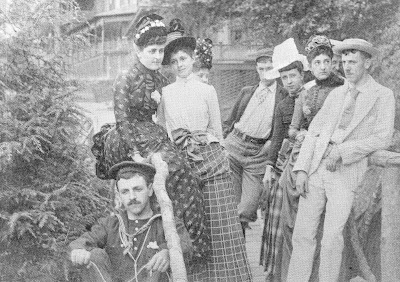 This card, from c. 1888, shows members of the South Fork Fishing and Hunting Club with guests on a summer day. It's an odd photo. Almost everyone in it has an enigmatic expression. This fabulous card shows pit no. 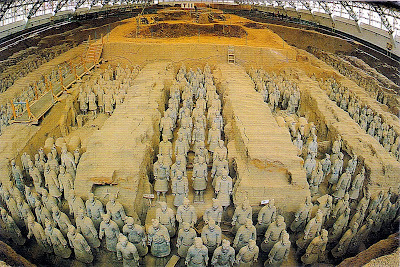 1 in Xian, China, where the famed ancient terracotta warriors and horses were unearthed. 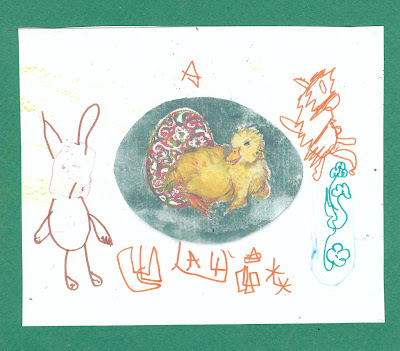 A postcrosser who works in Xian sent the card and--very sweet of him--my name in Chinese characters. 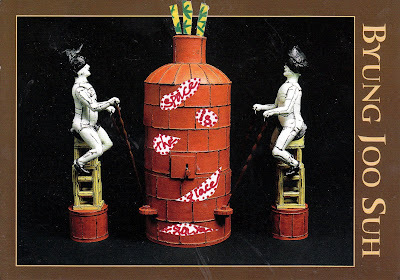 I saw some of these figures at an exhibition years ago in Kyoto. What timing! This morning I posted pix of the Japanese flowering apricot out front on the other blog (www.diamondposte.blogspot.com). 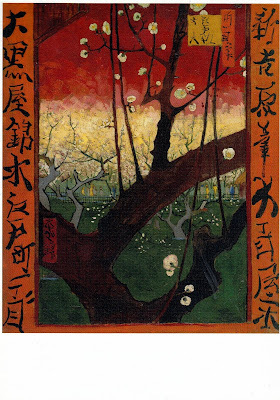 This afternoon's mail brought a card from a Dutch postcrosser of Van Gogh's The flowering plum tree (after Hiroshige). It's the same tree, usually mistranslated in English as plum. The one out front still looks more like a shrub and has pink not white blossoms. 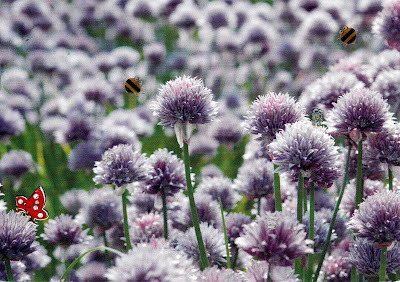 Alas, neither painting nor photos capture their heady fragrance. 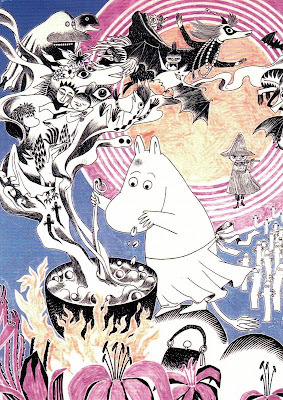 This Moomin card is from, where else, Finland. 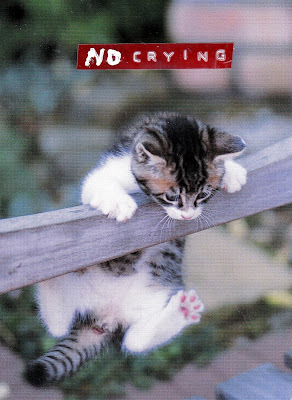 This card, from a Finnish postcrosser, cuts too close to home. Voles are suddenly everywhere. 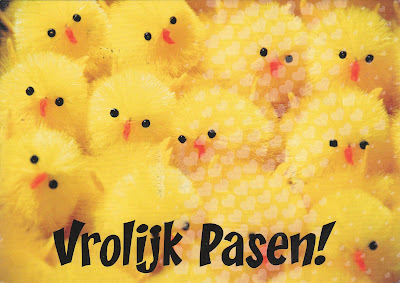 These cheery peeps, courtesy of a Dutch postcrosser, arrived a bit late for Easter but are welcome. 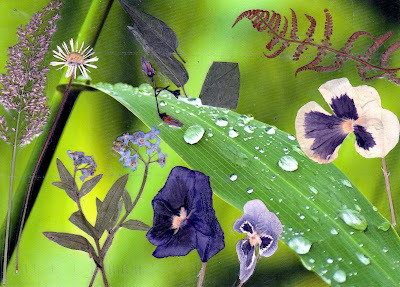 A German postcrosser had spring on her mind when she added these lovely pressed flowers to the postcard she sent. I too was looking for spring on the frigid day it arrived. 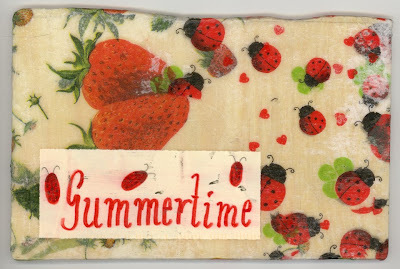 A postcrosser from Iceland altered this card she got while living in Denmark and sent it from Luxembourg, where she now lives. Like the creatures she added to the card, travel is the message. 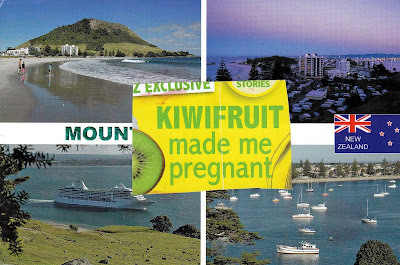 A New Zealand postcrosser used a bizarre headline from a magazine article to alter this card. It made me hoot. She assured me that kiwifruit had not had the same effect on her. 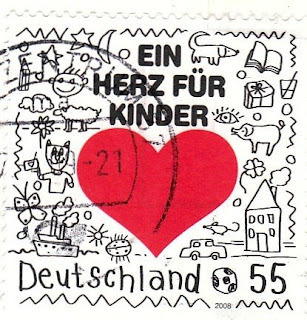 The German postcrosser above wrote about altered cards, "The idea by the way is nice, pimp up your postcard." The comment made me laugh out loud and certainly tweaked my idea of altered postcards. Thanks, all. 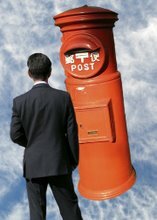 A big envelope arrived yesterday from my friend in the Ayaori post office in Tono, my favorite place in Japan, where I lived for about 10 years. 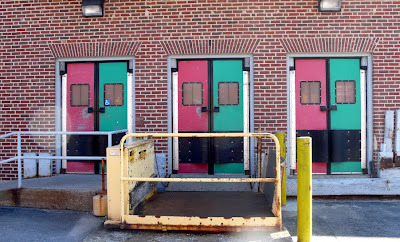 When I saw what was inside, I started whooping. 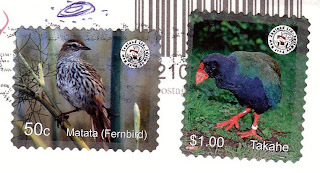 These are the best stamps ever. 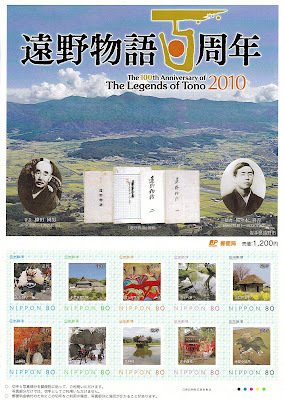 They commemorate the Tono monogatari, a seminal work of folklore that made Tono famous. 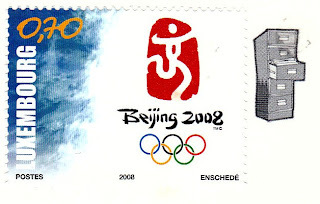 Each stamp is something personal to me as well. A huge shout-out to Uchida Kahoku in the Ayaori post office! Can't say thanks enough for this fabulous surprise. 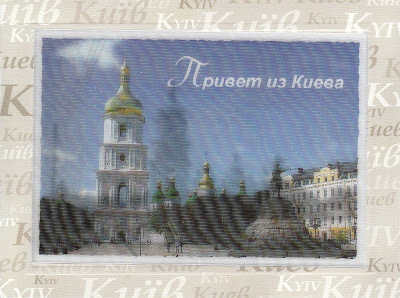 A Ukrainian postcrosser sent this cool lenticular card, flashing between past and present views of the central square in her beloved Kiev. It's a 'green' city, she writes, with 'narrow streets and gorgeous buildings' and 'a calm atmosphere'. I'd love to visit! 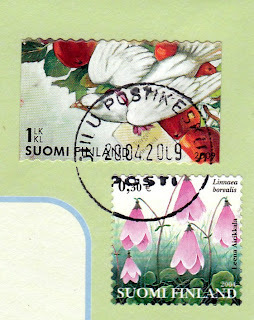 Some stamps of note from Ukraine and Finland. 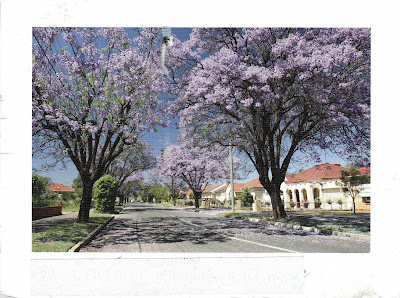 A Chinese postcrosser in Australia sent this lilting view of jacarandas in Adelaide. 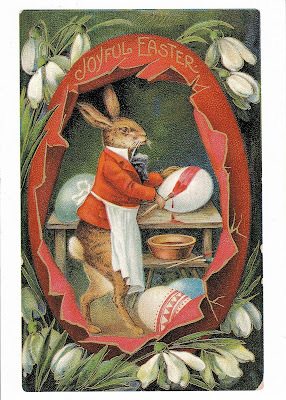 I've got only a few cards left from the collection of vintage Easter reproductions I found last spring at a local bookshop. This is one I shall save maybe till next year. A double dip from France: Alistair made the card at top and Jonathan the one at bottom. 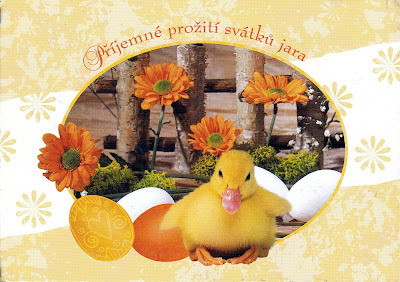 Easter greetings from the Czech Republic. I made this card too for last month's workshop. It was Sun Ra, jazz musician extraordinaire, who used to say, "Space is the place." I made this card for last month's altered card workshop and recently sent it to a postcrosser. I got this card in January at local restaurant called Bolete. 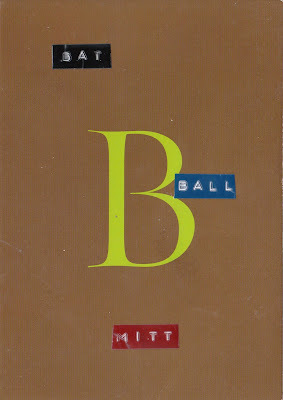 I loved the colors and eventually added the other bits after rereading May Swenson's great poem, Analysis of Baseball. 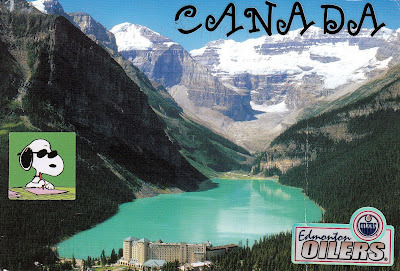 A Canadian postcrosser altered this card of beautiful Lake Louise in three ways. She says that she's a big fan of the Oilers. Are they in the hunt this year?